Fluid Bed Dryers On Procedyne Corp.
diffusion-controlled drying to very low residual moisture levels. Our systems are designed and built for reliable, long-term commercial operation. Materials of construction are selected for high-temperature strength, corrosion resistance, and compatibility with respect to product purity. Procedyne systems operate on electricity, natural gas, fuel oil, thermal fluids, steam, or hot air or water, and are highly efficient, even at high temperature. Precise temperature control, combined with uniform and complete fluidization, provide for reproducible, high-quality product with extremely high yield. An array of batch and continuous dryers can be custom designed to each application. Procedyne's unique fluid bed technology is ideal for fluid bed processing of even very finely divided, and/or lightweight materials. Materials with particle sizes as small as single-digit micron and densities as low as 0.02 g/cc can be successfully handled. 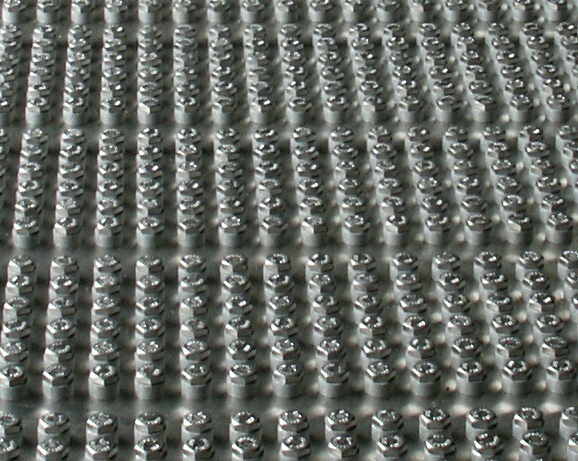 Procedyne fluid bed technology is primarily based on dense-phase fluidization, at the lower end of the fluidization regime. The low fluidizing velocities - and accordingly low gas flows - typically employed in Procedyne fluid bed systems translate to very effective, efficient and low-cost operation. Our proprietary design gas distributor allows for full cross-sectional distribution of the fluidizing gas, even at very low velocities and pressure drop. This design is both flexible and robust; it can be tailored to suit a wide range of conditions, and will withstand very harsh process environments. As Procedyne systems typically operate at very low gas flow rates, indirect heating of the process is possible. This feature allows for processing at bed temperatures up to 1200C, with capability to maintain specific atmospheric conditions. Virtually 100% of the process heat requirement is via the indirect through-wall radiant/convective heat transfer mechanism. Even at very low gas velocities, elutriation of fine particles from the fluidized bed can be an issue. Procedyne has a solution in its high-temperature gas filtration system, which can be integral to the fluid bed process vessel, for virtually 100% solids retention in the process environment and particulate-free exhaust.